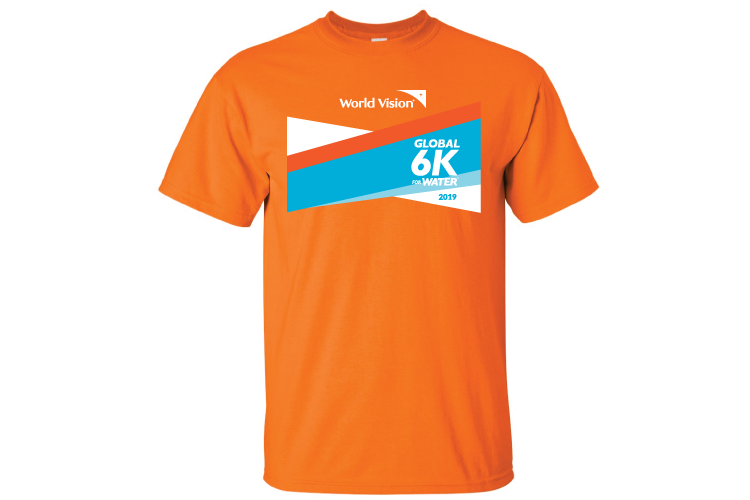 6K is the average distance women and children in the developing world walk for water that is often unsafe to drink. Watch Esther's story! 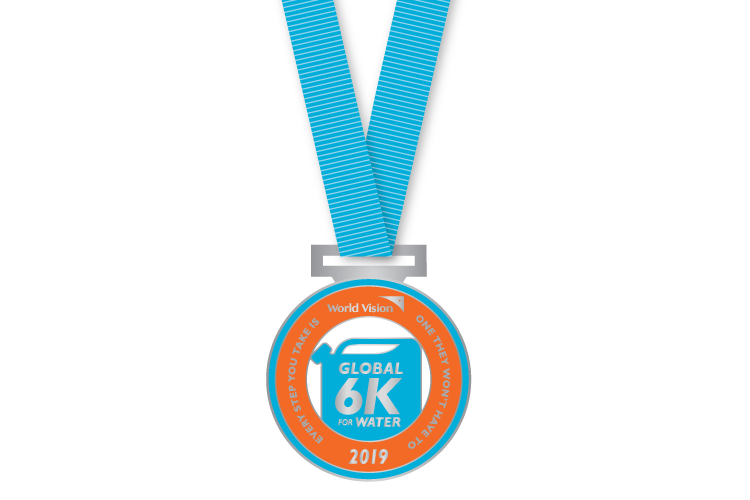 When you walk or run the Global 6K, you provide life-changing clean water to one person through your registration fee. So no matter where you walk or run, you'll be celebrating lives changed — how cool is that? 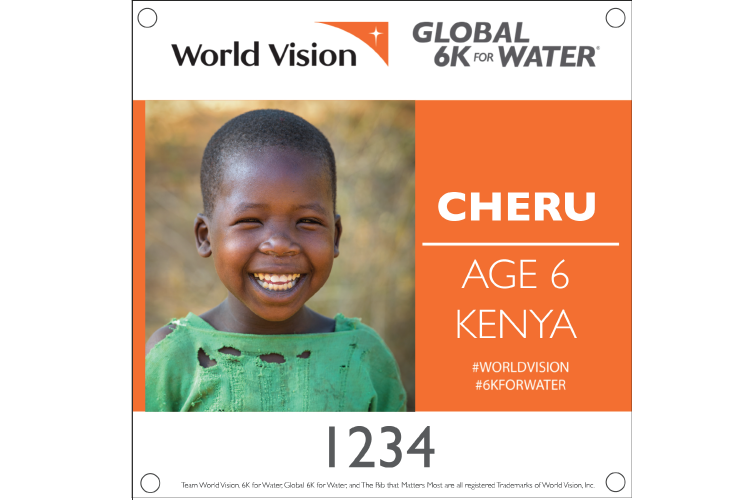 We’ll mail you a race kit with everything you need to walk or run your 6K, including a unique race bib with the picture of a child receiving clean water from World Vision’s water projects! Every $50 donated provides clean water to one person in need!